Does your future in Porter Ranch include a move? Our Porter Ranch movers are fully prepared to make your next move a quick and efficient experience. With a dedication to excellent service, trust Meathead Movers' clean-cut student-athlete movers to fulfill all of your moving needs. If you are moving to or from anywhere in Porter Ranch, we are the moving company for you! Our professionally-trained student-athlete Porter Ranch movers and our moving concierge service are here to help you with every stage of your move. Located in the beautiful San Fernando Valley, Porter Ranch is a safe and affluent neighborhood of Los Angeles. Porter Ranch allows people to escape the stress of busy city life, while still being a short distance away from Los Angeles. 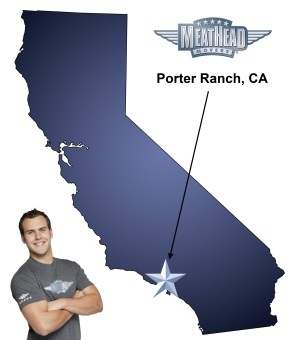 If you are considering a move to this affluent neighborhood, Meathead Movers is here to help. Our moving company specializes in local, long-distance, and commercial moves to, from, and within Porter Ranch. We also provide reliable packing, storage, on-site relocations, and our distinctive moving concierge service, which connects you with local service providers. All our student-athlete movers are thoroughly screened and trained before their first move. With branches not just in Porter Ranch, but all throughout California, we are your one-stop resource for all your moving needs, no matter where your California move takes you. In fact, you can see what your neighbors in Porter Ranch have to say about us. With our 100% satisfaction guarantee, the only thing you have to lose is the stress that comes from moving! Contact us today for a free no-obligation moving quote and to learn how we can help you on your next move! “Princess Packers came by today and I wanted to reach out sooner, but chose to wait in order to better collect my thoughts. I want to express some concerns to you regarding our overall satisfaction. More specifically, the status of our home, the incomplete and inadequate job, and how we feel heading into our scheduled move on Saturday. The gentlemen today arrived close to 45 minutes past their scheduled time. This cannot happen on Saturday. We have a timeline that we need to adhere to. During the packing process, two items were broken. We have not even gotten to the moving part yet. I recall you stressing that breakage is rarely a problem. The first item was a pepper shaker that was a gift from my mother. No one told me that it was broken. I only found out when I had to clean the pepper that was left on the counter and throw away shaker. The second item was a wine glass from the set that my wife and I drank out of at our wedding reception the day we got married. I am sure you understand that both of these objects cannot be replaced and are sentimental to say the least. When I spoke to you about adding the Princess Packing service, I mentioned that the kitchen was our top priority. I said this to the gentlemen at least 4 times today that if nothing else gets finished, this needed to be completed. Despite this, the kitchen was not completed. I asked them on arrival if they both would be focusing on that room and then moving to the rest of the unit, or if they would be working separately. It would seem that even then, I was not able to impress upon you, or anyone else how important this was. In addition, I wish that someone had communicated to me that the packers would not be able to pack liquids. I feel like that is an important piece of information in regard to packing a kitchen. I understand that within the moving world, this is probably a basic rule. But it honestly didn’t even occur to me. As far as the survey goes, I found it quite awkward to complete a survey about my experience and satisfaction and then hand it to the employees that I was giving feedback about. I did not feel comfortable giving honest answers. There were multiple empty tape rolls left throughout our home and there was at least one large piece of tape left on a dog toy that easily could have been ingested by our family pet. In summary, Princess Packers were 45 minutes late, broke our stuff, left trash in our home, could have harmed our dog by being careless, didn’t complete the primary reason that we purchased their services, and took an extra hour to do it. View more Porter Ranch resources. Everyone was great. Friendly, polite, and very hard working. The Princess Packers were polite, professional, and hard-working! They didn't stop for a minute! Very professional. Movers did not make any assumptions about what to move and what not to move, they always asked. No dings to my belongings or walls. Came on time.